San Diego Accident Attorney Mark C. Blane wants his website to be a valuable tool for victims of auto, truck, motorcycle and bicycle crashes, accidents with lasting effects like spinal cord and brain injuries, pedestrian or other accidents due to unsafe premises. Our Resources section links you to useful outside websites, articles, videos and valuable sources of information on legal, medical and personal injury matters. The Physicians Committee for Responsible Medicine (PCRM) is a nonprofit association that promotes the idea of an "optimal diet for prevention of disease." This is a great resource to investigate on your own the relationshipe between "dis-ease" of the body and diet (what you put in your mouth when you eat). The Physician Committe is was founded by Dr. Neal Barnard, M.D., who is an adjunct associate professor of medicine at the George Washington University School of Medicine in Washington, D.C., and president of the Physicians Committee for Responsible Medicine (PCRM). Dr. Barnard has led numerous research studies investigating the effects of diet on what medicine calls "dis-eases." Some of these "dis-eases" include the following: diabetes, body weight in relation to "dis-ease," and chronic pain, including a revolutionary study of dietary interventions in type 2 diabetes, funded by the National Institutes of Health. Moreover, Dr. Barnard has authored more than seventy (70) scientific publications, as well as seventeen (17) books. As president of the Physicians Committee, Dr. Barnard leads educational programs advocating for preventive medicine, good nutrition (as opposed to the SAD "Standard American Diet"), and higher ethical standards in scientifc research. He has hosted three PBS television programs on nutrition and health, and is frequently called on by various news programs and channels to lead discussions on issues related to nutrition and research. He advocates for a plant-based (vegan) diet which is one that completely eliminates all dairy in one's consumption of food. Dairy, as research has seen, is highly acidic to the human body. He has been identified as medical adviser to the radical animal rights organization People for the Ethical Treatment of Animals (PETA). I came to find Mr. David Wolfe after being referred to him from other researchers on raw live foods and nutrition. I eventual became interested enought to purchase and read a few of his books including, but not limited to, The Sunfood Diet Success System, which I found to be one of the best books on the subject of "superfoods" out in the world. What is a "superfood?" A superfood is basically a food that encompasses a complete nutrient source all in one. For example, the Egyptians centered their "superfood" on the sacred Aloe Vera plant, the Polynesians had the Noni fruit, the Chinese had the Gogi Berry, the Inca Shamans had the Macca Root, and the South Amercian Shamans had the cacao bean (actually it is a nut botanically speaking). These foods are incredibly packed with innate nutrients that can "superfeed" the body. I consider David Wolfe an expert on this subject and you can tell he really enjoys what he is doing which is great to see - also, I believe he is helping folks change their lives for the better to become more responsible for their daily diet choices. Check him out to find out more information about what he has to say about raw (live) foods and radiant health. I found Mr. Daniel Vitalis on-line after seeing some of his videos that center on health through his own unique insight on it. He has a company named "surthrival" that can be found at www.surthrival.com that offer some really unique products. I find Mr. Vitalis very sincere, insightful and enthusiastic in helping folks. This is one of the reasons why I include him on my resource page. He is an advocate of a Vegan diet (with certain exceptions) and encourages folks to increase their daily intake of organic natural live foods (fruits and vegetables) and medicinal mushrooms like Chaga and Reishi (the King and Queen of forest mushrooms). Check him out to get more information to help you in your search of alternative means to "surthrive" in today's environment with his unique health perspectives. This linked resource goes to the Amazon.com customer reviews of Mr. Robert G. Wright's book entitled Killing Cancer - Not People which is the second edition of his book that focuses on how the body is really a self-healing maching as long as it is given the correct environmental circumstances to thrive physically. The books helps the reader take responsibility for himself or herself to participate in their own recovery once given a cancer diagnosis. He provides thoughtful insights and personal experience and makes recommendations on what he would do if he was given a "big C" (cancer) diagnosis. This is a must read for any cancer patient and I wanted to provide as a possible resouced link on my website to help those simply looking for more information on-line to educate themselves in making an informed decision on a cancer diagnosis. This institute was founded by Charlotte Gerson, daughter of famous physician Max Gerson from Germany, in 1977 in San Diego, California to spread public awareness about the "Gerson Therapy" for cancer and other chronic conditions in the human body. The institute advocates the human body's extraordinary ability to heal itself given the right conditions; namely: a vegetarian diet, raw (live) foods that come mainly from organic soruces, raw juices from these sources, coffee enemas and natural supplements. They treat auto-immune disorders, arthritits, cancer, diabetes, heart disease, and many other chronic conditions afflicting millions of people from around the world. The Gerson Institute in San Diego provides referrals to two licensed Gerson clincis in both Mexico and Hungary. Go to their website for more information. Also, Charlotte Gerson is the author of Healing the Gerson Way which I highly reccomend to your health book library. Dan MacDonald the "Life Regenerator"
Dan MacDonald is known as the "Life Regenerator" in the "Raw Food" movement. Dan came on the scene a few years back with his unique youtube videos that discusses exclusively the ingestion of raw fruits, vegetables, aromatic herbs (parsley, cilantro, etc.) and soaked nuts and seeds as the main staple of your diet. He also advocates the use of rebounding and does a great job explaining how the cleaner you are in the inside, the cleaner you are on the outside. Becoming a raw vegan has its challenges and Dan has been there time and time again in his many videos (over a 1000 on his youtube channel "liferegenerator") explaining what you can do to better yourself in staying on the raw vegan path. Ultimately, it really becomes a spiritual journey. I have enjoyed Dan's enthusiasm, his raw food recipies, and his simple message: "you are what you eat." Free legal books for you if you are a California resident or if you have been injured in a California accident. Written and published by San Diego Personal Injury Attorney Mark C. Blane so you can find important information quickly before you speak with a lawyer or fill out any legal forms. Request yours today at the above link! Have legal questions about California Auto, Motorcycle & Truck Accidents? Visit my FAQ Section to find answers to a huge library of different legal questions in this area of the law. This link allows users to link directly with the California Department of Motor Vehicles in order to order forms, get questions answered regarding their California driver's license, rules and regulations. This site allows the user to navigate the rules and procedures of the DMV for all 50 States. An alliance of consumer, health and safety groups and insurance companies and agents working together to make America's roads safer. This organization is better known as BADD, and they are a non-profit organization, founded in 1986. Its mandate is to reduce the incidence of drunk driving and its consequences through promotion and awareness to the mainstream in malls, major events, annual tours and the media. It also aims to create an emergency fund for victims of drunk drivers while they await other compensation and/or where no other compensation is forthcoming. MADD was incorporated on September 5, 1980, the mission or purposes of MADD as stated in its Articles of Incorporation were “To aid the victims of crimes performed by individuals driving under the influence of alcohol or drugs, to aid the families of such victims and to increase public awareness of the problem of drinking and drugged driving." In 1984, MADD changed its name from Mothers Against Drunk Drivers to Mothers Against Drunk Driving. This carefully considered change was made because MADD is opposed to the criminal act of drunk driving, not individuals. MADD also updated its mission statement to “Mothers Against Drunk Driving provides grassroots leadership to create major social change in the attitude and behavior of Americans toward drunk driving." Originally, the mission of the SADD chapter was to help young people say "No" to drinking and driving. Today, the mission has expanded. Students have told us that positive peer pressure, role modeling and environmental strategies can prevent other destructive decisions and set a healthier, safer course for their lives. And that is why SADD has become a peer-to-peer education, prevention, and activism organization dedicated to preventing destructive decisions, particularly underage drinking, other drug use, risky and impaired driving, teen violence, and teen suicide. To provide students with the best prevention tools possible to deal with the issues of underage drinking, other drug use, impaired driving and other destructive decisions. Remove Intoxicated Drivers (RID) is one of the oldest national organization in the United States fighting alcohol impaired and drunk driving (DUI and DWI) on the freeways and roadways of America. Established in 1978 by Ms. Doris Aiken, the group's mission is to reduce alcohol impaired driving, advocate for victims, promote tough anti-DUI/DWI laws, reduce underage drinking, and serve as a watchdog for effective law enforcement of anti-drunken driving laws. MADD's mission: to stop drunk driving, support the victims of this violent crime and prevent underage drinking. This link is for the San Diego County chapter. Have legal questions about California Slip and Fall Accidents? Visit my FAQ Section to find answers to a huge library of different legal questions in this area of the law. Have legal questions about California Dog Bite Injuries? Visit my FAQ Section to find answers to a huge library of different legal questions in this area of the law. Doggone Safe is a non-profit organization dedicated to dog bite prevention through education and dog bite victim support. Their mission statement is to promote education initiatives for the purpose of dog bite prevention and increased child safety around dogs and to provide support for dog bite victims. ¿Tiene Preguntas Frecuentes sobre los casos Personales de Heridas en California? Visita mí Sección de Preguntas Frecuentes para encontrar respuestas legales. El abogado de San Diego, California Mark C. Blane, tiene representando a personas lesionadas en San Diego, California desde 1999. El ha manejado todo tipo de lesiones personales, desde lesiones menores, lesiones mayores, e incluso lesiones permanentes. Un gran número de personas lesionadas tienen poco conocimiento de sus derechos legales y de cómo adquirir compensación justa por sus lesiones. Por lo tanto, es importante ser proactivo e informarse antes de consultar con un abogado. El escribó un libro grauito que se llama Los Diez Secretos Que Necesita Saber Sobre Su Caso De Lesión, ANTES De Llamar A Un Abogado. El libro tiene mucho información sobre sus derechos legales y el libro is gratis para todo la gente que vivan en el estado de California! Twitter is a social networking and microblogging service that allows you answer the question, "What are you doing? "by sending short text messages 140 characters in length, called "tweets", to your friends, or "followers." Check out San Diego Injury Attorney Mark C. Blane's "Avvo Rating." At Avvo, their mission is to help people make the best decisions for their important medical and legal needs. Finding the right lawyer or doctor often comes at a critical time in life, most people have no idea how to go about doing it, and resources that offer answers to questions are overwhelming and difficult to understand. Avvo empowers consumers by rating doctors and lawyers, and having these real professionals answer their questions - all for free. Avvo profiles contain helpful information including experience, background, disciplinary history, and reviews from patients and clients. Legal Aid Society of San Diego, Inc. The dedicated attorneys and advocates of the Legal Aid Society of San Diego, Inc., provide thousands of legal service activities to their clients annually. These services are provided through the LASSD Community Response Team (CRT - telephone client hotline), direct representation by lawyers and advocates, free legal clinics, private attorney involvement (PAI) pro bono activities, and special programs. LASSD staff works tirelessly to keep people in their homes and to secure adequate shelter for the county's homeless. They ensure that thousands of individuals and families receive the government benefits to which they are entitled. They assist with dissolutions, custody and domestic violence problems. They uphold the rights of San Diego County consumers through litigation and negotiations. They also assist with immigration and asylum issues and defend the rights of accused juveniles. LASSD is the only law firm in the County which devotes 100% of its resources to keeping alive the rights of all persons to be afforded equal justice before the law. LawHelpCalifornia.org provides low-income Californians with easy online access to basic legal resources and attorney information. LawHelpCalifornia DOES NOT provide direct legal services. LawHelpCalifornia.org is a collaborative project with policy oversight from the CalJustice Advisory Committee and assistance from advocates at legal aid programs throughout the state. Although the ABA cannot help you directly, there are many people out there who can. This site will guide you to a list of resources in your state. Most legal issues are regulated by the law in the state where you live, or where the problem occurred. 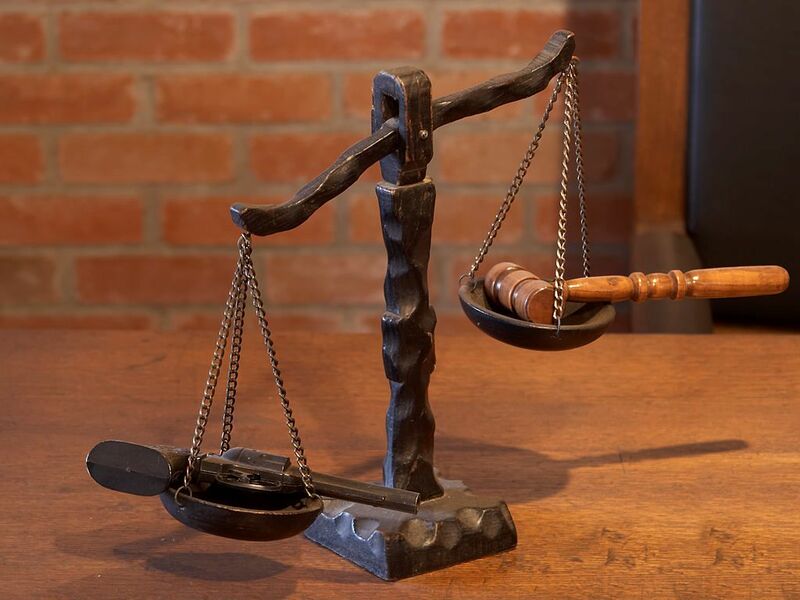 Website devoted to helping you with all issues regarding California Small Claims Court. The California Courts Online Self-Help Center, this Web site will help you find assistance and information, work better with an attorney, and represent yourself in some legal matters. The Lawyer Referral and Information Service is a FREE service sponsored by the San Diego County Bar Association. With over 400 attorneys in 37 areas of law throughout the county, finding an attorney to assist your legal situation is only a phone call away. Since 1952, the Lawyer Referral and Information Service (LRIS) has provided San Diegans with credible attorneys for all their legal issues. All you have to do is call and explain your situation, and you will be referred to an attorney depending on the area of San Diego you reside in. All the attorneys who participate in LRIS are very well qualified. They go through a very strict application process in order to be chosen to be in the service. FBIC (Fight Bad-faith Insurance Companies) is a non-profit consumer advocacy organization which specializes in uncovering today's alleged fraudulent multi-billion dollar bad-faith non-payment of claims rip-offs by the powerful Insurance Industry. The Brain Injury Association of America (BIAA) is the country’s oldest and largest nationwide brain injury advocacy organization. Our mission is to be the voice of brain injury. Through advocacy, education and research, we bring help, hope and healing to millions of individuals living with brain injury, their families and the professionals who serve them. The professionals at the National Center for Bicycling & Walking are ready to provide you with a broad range of services, backed by years of field experience, to help your community become more livable. Since 1977, we have been making neighborhoods, town, cities, and regions more bicycle-friendly and walkable places. We have experience working in urban, suburban, and rural areas in all corners of the United States. We understand the challenges the come with working in low resource, low income communities, and we have developed a pragmatic approach for improving livability in those places. Our work is nationally recognized, and our client list includes state and local DOTs, MPOs, schools and school districts, philanthropic and health care foundations, and large consulting firms. Safe Kids USA is a nationwide network of organizations working to prevent unintentional childhood injury, the leading cause of death and disability for children ages 1 to 14. They educate families, provide safety devices to families in need and advocate for better laws to help keep children safe, healthy and out of the emergency room. More than 600 coalitions and chapters in all 50 states bring together health and safety experts, educators, corporations, foundations, governments and volunteers to educate and protect families. Have legal questions about California Wrongful Death Claims? 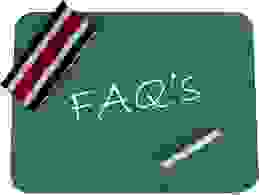 Visit my FAQ Section to find answers to a huge library of different legal questions in this area of the law. Have legal questions about California Boating & Maritime Accidents? Visit my FAQ Section to find answers to a huge library of different legal questions in this area of the law. Have legal questions about San Diego California Workers Compensation Accident Cases? Visit my FAQ Section to find answers to a huge library of different legal questions in this area of the law. Have legal questions about California Construction Site Accidents? Visit my FAQ Section to find answers to a huge library of different legal questions in this area of the law. Have legal questions about California Brain & Spinal Cord Injuries & Accidents? Visit my FAQ Section to find answers to a huge library of different legal questions in this area of the law. Have legal questions about California Pedestrian & Bicycle Accidents? Visit my FAQ Section to find answers to a huge library of different legal questions in this area of the law. 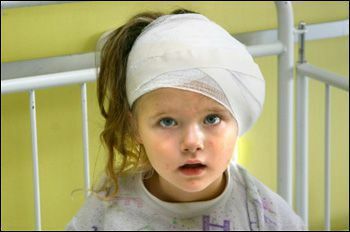 Have legal questions about California Child Injuries & Accidents? Visit my FAQ Section to find answers to a huge library of different legal questions in this are of the law. Founded in 1948, the National Spinal Cord Injury Association is the nation's oldest and largest civilian organization dedicated to improving the quality of life for hundreds of thousands of Americans living with the results of spinal cord injury and disease (SCI/D) and their families. This number grows by thirty newly-injured people each day. At NSCIA, they educate and empower survivors of spinal cord injury and disease to achieve and maintain the highest levels of independence, health and personal fulfillment. They fulfill this mission by providing an innovative Peer Support Network and by raising awareness about spinal cord injury and disease through education. Their education programs are developed to address information and issues important to their constituency, policy makers, the general public, and the media, and including injury prevention, improvements in medical, rehabilitative and supportive services, research and public policy formulation. This website contains wrongful death statistics and useful information. This web page is a place that men or women can honor the person in their life who died by writing about a part of their own grief and healing. ?Can an attorney help negotiate the amount I must repay to my medical insurance company? ?San Diego CA Jaywalking Question | What is "Jaywalking" and What do I Need to Know If I am Injured Jaywalking?